Associate Professor Rachel A. Ankeny has a BA in Liberal Arts (Philosophy/Maths, St John’s College, Santa Fe, NM), and MA degrees in Philosophy and in Bioethics and a PhD in the History and Philosophy of Science (all from the University of Pittsburgh, PA). In 2006 she graduated with the degree of Master of Arts in Gastronomy (University of Adelaide). Prior to joining the University of Adelaide in 2006, she was director and lecturer/senior lecturer in the Unit for History and Philosophy of Science at the University of Sydney from 2000. Rachel A. Ankeny is the Program Coordinator for the Graduate Program in Food Studies as well as teaching in the history and politics programs at the University of Adelaide. Rachel currently holds a three-year grant Australian Research Council grant (2011-13) entitled “What Shall We Have for Tea? Toward a New Discourse of Food Ethics in Contemporary Australia” (A$155,000) as well as small grants to examine gender and understandings of GM foods; attitudes toward future use of GM technologies in the Australian wine industry; and Australian public attitudes toward synthetic biology. She previously has been an investigator on various grants from the National Health and Medical Research Council, the Australian Research Council, the US National Science Foundation, and the NSW Cancer Council, among other organisations. 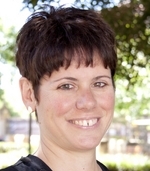 She is a member and the convener of the University of Adelaide’s Gender Panel for the Commonwealth Department of Families, Housing, Community Services and Indigenous Affairs (FaHCSIA) (2010-on) and of the Social Science Panel for Food Standards Australia New Zealand Social Science Panel (FSANZ) (2011-on). Rachel serves as chair of the National Committee for History and Philosophy of Science of the Australian Academy of Sciences; a member of the Gene Technology Ethics and Community Consultative Committee for the Office of the Gene Technology Regulator of the Commonwealth of Australia; committee member for the Australasian Association of Bioethics and Health Law; chair of the Committee on Meetings and Programs for the History of Science Society; and treasurer for the International Network on Feminist Approaches to Bioethics (FAB). She also is a co-founder and organisation committee member of the international Society for Philosophy of Science in Practice, and of the International Philosophy of Medicine Roundtable. She is a frequent reviewer for numerous international granting agencies as well as scholarly journals in HPS and bioethics. Rachel serves on the Faculty’s research and postgraduate coursework committees. In addition to History, she is registered to supervise higher degree research (masters and PhDs) in the discipline of Philosophy, School of Humanities. She has supervised numerous successful masters and PhD candidates in HPS, bioethics, and history of food. A/Prof Ankeny’s research interests include food ethics and the relationship of science to cuisine, and she has an ongoing qualitative research project examining people’s views on ethical food consumption. This entry was posted in Researchers and tagged Crop Production, Current Affairs, Food Crisis, Food Security, Global, Politics. Bookmark the permalink.